The Suntellite photovoltaic modules are German Engineered and manufactured using state of the art technology for Solar PV. All models use TUV and UL certified components ensuring they meet all of the required safety standards. 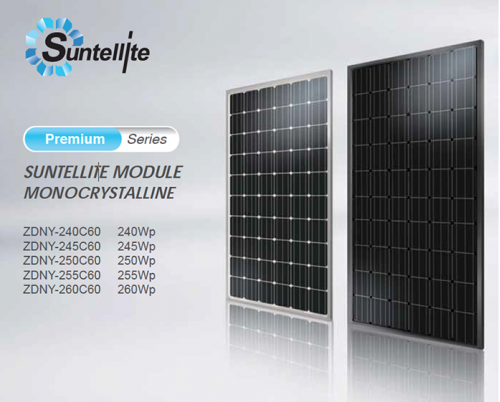 Suntellite are high efficiency panels in comparison with lesser modules and panels are needed to provide you with more efficiency and output. 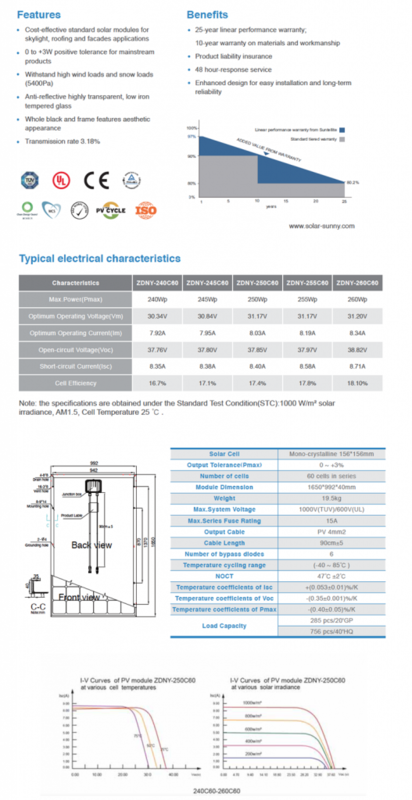 Take a look at some of the features and details of Suntellite’s Solar PV Modules.